Most instrument manuals state there is no calibration of the temperature sensor, but the temperature sensor must be checked to determine its accuracy. This accuracy check is performed at least once per year and the accuracy check date/information is kept with the instrument. If the accuracy check date/information is not included with the instrument or the last check was over a year, the temperature sensor accuracy needs to be checked at the beginning of the sampling event. If the instrument contains multiple temperature sensors, each sensor must be checked. This procedure is not normally perform in the field. If the instrument is obtained from a rental company, the rental company should performed the calibration check and include with the instrument documentation that it was performed. 1. Fill a container with water and adjust the water temperature to below the water body’s temperature to be measured. Use ice or warm water to adjust the temperature. 2. Place a thermometer that is traceable to the National Institute of Standards and Technology (NIST) and the instrument’s temperature sensor into the water. Wait for both temperature readings to stabilize. 3. Compare the two measurements. 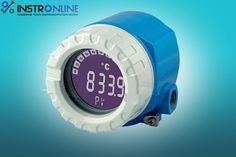 The instrument’s temperature sensor must agree with the reference thermometer measurement within the accuracy of the sensor (e.g.,±O.2°C). If the measurements do not agree, the instrument may not be working properly and the manufacturer needs to be consulted. 4. Adjust the water temperature to a temperature higher than the water body to be measured. 5. Compare the two measurements. The instrument’s temperature sensor must agree with the reference thermometer measurement within the accuracy of the sensor (e.g.,± 0.20 C). If the measurements do not agree, the instrument may not be working properly and the manufacturer needs to be consulted.